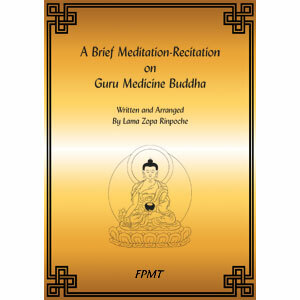 Written and arranged by Lama Zopa Rinpoche, A Brief Meditation-Recitation on Guru Medicine Buddha begins with requests to the Medicine Buddhas and follows with recitation of their holy names; recitation of either—or all of—the long, middle-length, or short Medicine Buddha mantra; and recitation of the mantra of Tathagata Stainless Excellent Gold and other dharani-mantras, extracted from the Fifth Dalai Lama's The Wish-Granting Sovereign: A Ceremony for Worshiping the Seven Sugatas. 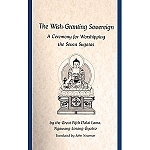 The practice concludes with prayers, requests, and dedications. 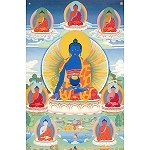 Anyone can practice the text, with slight modifications for students without initiations. 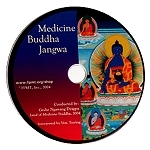 Rinpoche has consistently taught that Medicine Buddha practice is beneficial for anyone who is dying, sick, injured, or who has already died, and for success in general. 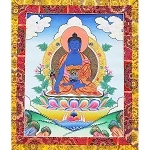 Note: Product bundle contains two sets of the same practice - one set features Tibetan phonetics while the other does not. For an explanation of eBook formats and how they work, click here. 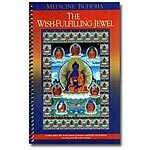 Written and arranged by Lama Zopa Rinpoche, A Brief Meditation-Recitation on Guru Medicine Buddha begins with requests to the Medicine Buddhas and follows with recitation of their holy names; recitation of either—or all of—the long, middle-length, and short Medicine Buddha mantras; and recitation of the mantra of Tathagata Stainless Excellent Gold and other dharani-mantras, extracted from the Fifth Dalai Lama's The Wish-Granting Sovereign: A Ceremony for Worshiping the Seven Sugatas. 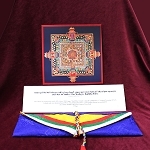 The practice concludes with prayers, requests, and dedications. 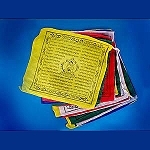 Anyone can practice the text, with slight modifications for students without initiations. 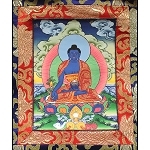 Rinpoche has consistently taught that Medicine Buddha practice is beneficial for anyone who is dying, sick, injured, or who has already died, and for success in general. Note: Product bundle contains two PDFs. Although essentially the same practice, one PDF features Tibetan phonetics while the other does not.